The trip started with an exploration of the food truck scene in Portland, which locals claim was buzzing well before the trend hit the nation. 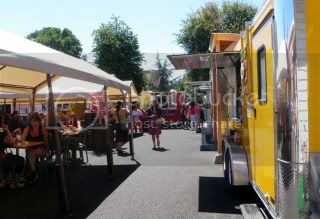 Portland has created food truck 'pods' where you can find Korean tacos, falafel, fish n' chips and curried rice bowls all in one spot. All without having to chase the trucks around the block. 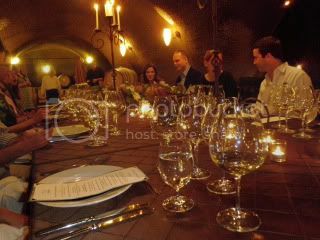 Dinner that evening was quite the departure from the morning victuals and was spent in the Archery Summit caves, where winemaker Anna Matzinger and winegrower Leigh Bartholomew hosted a library wine tasting to pair with a local feast prepared from neighboring farms. The Archery Summit Pinot Noirs have evolved gracefully over the years. The standout wine of the night was 2002 Red Hills Estate Pinot Noir. The fruit was lively and fresh, but with maturity and nuance that only comes with age. 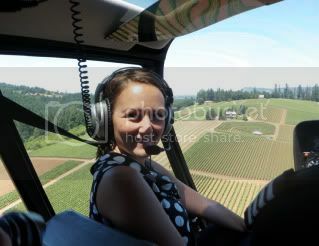 The next morning, having spent a blissful night of sleep at the beautiful Allison Inn & Spa, guests were given the ultimate tour of Archery Summit's five Estate Vineyards - by air, naturally. Two-by-two we were lifted off the ground via helicopter for an aerial tour of the Dundee Hills, with Mt. Hood looming in the background. Watch video here. The vineyard tour was followed by a hands-on opportunity to learn about the art of blending with the talented female winemaking duo. Anna and Leigh explained the unique characteristics that the terroir of each of the single vineyards produces in their wines and how to use our beakers, calculators, or just our palate alone to create our own signature blend of 2009 Pinot Noir. The Renegade Ridge Vineyard produces black fruit tones like boysenberry where as the Looney Vineyard has a bright, cranberry rhubarb quality. 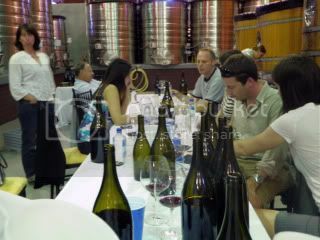 We could have been there forever trying the endless combinations of aromatics, fruit, texture, finish etc. Once each person was happy with their personal blend they were bottled, corked and labeled for storage. I'll let you know how the Charles Communications bottle turns out in when it's time to drink it in 12-20 months. If we can wait! Our stay was capped off with an unforgettable meal at The Jory, the restaurant at the Allison Inn & Spa. I am still thinking about my salad. Yes, a salad. 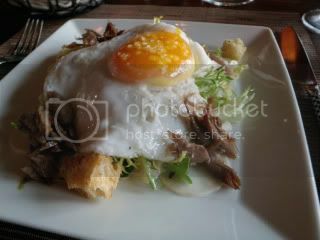 Frisee, duck confit and a farm egg were a decided Northwest take on a French classic. So. So. Good. We encourage everyone to spend some time in Dundee Hills of the Willamette Valley. It is unmistakably NOT California wine country. When you're there be sure to stop by Archery Summit to say hello to Anna and Leigh and their great team. Older PostWine made from light?